You've never seen a venue quite like Catalyst Ranch! Colorful, inspiring, environmentally conscious, and woman-owned. Be sure to check out this unique space for our popular monthly networking happy hour! Chicagoland Chamber Business After Business events are networking, perfected. The crowd is welcoming and business-minded. Chamber hosts curate to make introductions in a natural way and ensure all members meet the people they’re looking to meet. It’s strategic, targeted, and leads to authentic connections. TONIGHT! 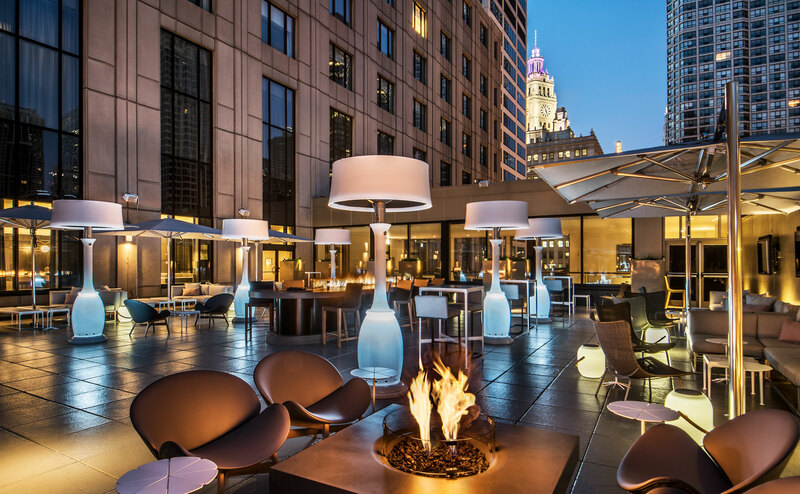 The weather looks beautiful for some end-of-the-summer drinks and networking on the newly renovated terrace at The Gwen. Fine dining lunch reception with strategically assigned seating for Premier, Leadership Circle & President’s Circle members. Disability inclusion results in innovation and makes businesses stronger. We invite you to our 4th Annual Disability Inclusion Opportunity Summit. This event has SOLD OUT the past two years. It is the only summit of its kind in the Midwest. This year’s conference will bring together business leaders in talent acquisition, human resources and diversity & inclusion for a full day of learning, best practice sharing and networking, all focused on disability inclusion. Local and national leaders will lead discussions on timely topics like supporting mental health in the workplace, neurodiversity in the corporate environment, and innovative approaches to disability recruitment.